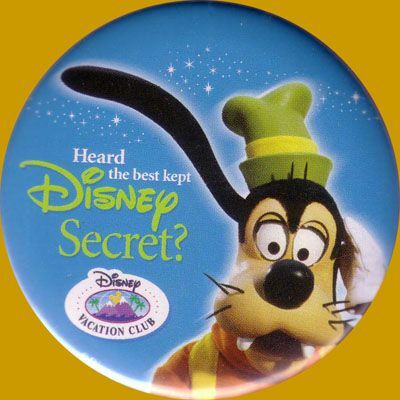 Pssst, Goofy: renting DVC points is the best kept secret. Most die-hard Disney fans are aware of the Disney Vacation Club (“DVC”), a timeshare program operated by Disney at eight resorts at Walt Disney World plus three locations outside of the World. DVC owners enter long term contracts to buy “points” that they use to book stays at these resorts. However, many people do not know that renting DVC points can be a cost-effective way to stay at a Deluxe resort. There have been a lot of questions recently about renting DVC points in the WDW Chat area at TouringPlans.com, so I decided to compile a few tips to help out first time renters. The most important thing is to do your research – most rental problems are caused by a misunderstanding of the process. Don’t rely on the other party to know everything or provide you with correct information. Read Renting Disney Vacation Club Points at MouseSavers.com and the documents in the DVC Program Information – Renting Points area at MouseOwners.com. These sites will tell you almost all you need to know. Additionally, David’s Vacation Club Rentals has charts for figuring out how many points you will need, and the DVC Resorts section at DVCNews.com has lots of information on the resorts themselves. And, lest we forget, The Unofficial Guide to Walt Disney World 2014 and the Disney World Hotels section at TouringPlans.com have information on the DVC resorts as well. Like most aspects of booking a Walt Disney World vacation, timing is of the essence. There are two important dates to be aware of for DVC stays – 11 months and 7 months. DVC owners can make reservations for the resort they own points at starting 11 months before the desired stay. This is the best time to try to rent if you want a specific resort, but there may not be many points available to rent at that time. DVC owners can make reservations for any resort starting 7 months before the desired stay. There are potentially more points available to rent at this time, but there are not as many rooms available. For a general idea of what may be available at various booking dates, check the How Soon Should I Reserve section at David’s Vacation Club Rentals. OK, I Know When I Want To Go – How Do I Do This? Although you can book stays at DVC properties through Walt Disney World Reservations and travel agents (at rack rates), in order to rent points you must either rent directly from a DVC owner or go through a points broker. In either case, a DVC owner will be making a room reservation using their points, and then “renting” that reservation to you. Direct Renting A good place to start looking into renting directly from a DVC owner is the Rent/Trade/Transfer Board at MouseOwners.com, which has separate areas for posting rental requests or viewing posts about available points/reservations. Another good site for renting is the DVC-Rent/Trade Board at DISBoards.com. Although I have only rented directly through MouseOwners.com, I have heard good things about both boards. Be sure to read each board’s rules/guidelines before posting or replying to posts. Points Brokers There are plenty of online DVC points brokers out there, like David’s Vacation Club Rentals, The DVC Rental Store, and DVC-Rental. They do a lot of the work for you, but this often comes at an additional cost. Although their specific policies may vary, the general procedure is that you submit a request to them, and they try to match you up with one of their client DVC owners who has points to rent out. Note that with either method advance planning is key. If you want to hit the 11-month or 7-month dates you should either have a notional agreement with an owner in place or have your application submitted to a broker in advance so that everything is set on the first day that your desired stay can be booked. Allow for more lead time when doing direct rentals than when using a broker, as you will have to do the leg work of finding an owner with available points. The main advantage of direct renting is price and flexibility – you can often get better deals and payment terms, as they are all subject to negotiation. Also, there can be many last minute deals for points or confirmed reservations. The main advantage of a broker is that you are dealing with a known, reputable company as opposed to a complete stranger. If you are going to rent direct from an owner, BE SURE to take the steps listed in Renting Disney Vacation Club Points at MouseSavers.com in order to reduce your risks. This major drawback of renting DVC points is cancellation. Because of the byzantine rules surrounding the use of DVC points, most DVC rental agreement do not have any cancellation provisions. Essentially, if you have to cancel, you lose your money. You may be lucky and the owner you are renting from may be willing (and able) to work with you on this, but you should not rely on it. Therefore, it is very important to think about Travel Insurance if you are going to rent DVC. Also, when you rent points, you are the “guest” of the owner. Walt Disney World Reservations will not talk to you about the reservation, so add-ons/requests like Disney Dining Plans, Disney Magical Express, and room preferences must be done for you by the owner through DVC Member Services. However, your name is on the reservation, so once the owner gives you the reservation number you can link it to your My Disney Experience account so that you can make 180+10 Advance Dining Reservations, get Magic Bands and FastPass+ reservations (when they go live), and do on-line check-in yourself. This Sounds Complicated – Why Would I Want to Do This? Either way you book, you can get significant savings – you can usually get a DVC villa for about half of the Disney rack rate. This means that you can often get a Deluxe studio for around the cost of a Standard Moderate room. As a quick comparison, renting through a broker you could stay in a Standard View Studio villa at BoardWalk Villas or Old Key West for a week in early December 2013 for $1,064, assuming $14 per point. For those same dates a Standard View room at Caribbean Beach or Port Orleans would cost you $993.83, and this is assuming you got a top discount of 30%. 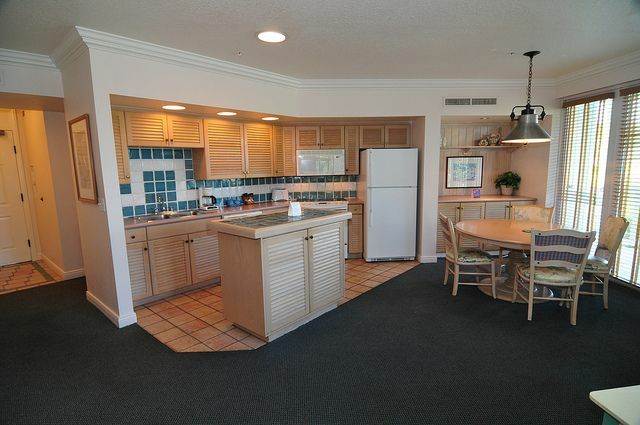 So, for less than $100 more you get a larger room with a kitchenette in a Deluxe resort. This Old Key West 1-BR can be yours, and the price is right! Any Other Tricks I Should Know About? The more flexible you are, the easier it will be to get a DVC rental. You are more likely to be successful if you are open to several resorts and you can move your dates around a bit than if you have to stay at the Villas at Wilderness Lodge and your dates are set in stone. For the truly flexible there are often great last-minute deals for confirmed reservations that the owner cannot use or for points that are about to expire. Also, if you are friends with a DVC owner, you can reduce your risk by having the person that you are renting points from transfer the points to your friend. Your friend then makes the DVC reservation for you, so your reservation is “owned” by someone you know. Note that transferred points retain their home resort and expiration date, so if your friend owns at Old Key West and the transferred points are from Villas at Wilderness Lodge, they can use those points at 11 months for Villas at Wilderness Lodge and at 7 months for all other resorts, including Old Key West. Renting DVC points is not for everyone – if your travel plans may be subject to change or you are uncomfortable dealing with anyone other than Walt Disney World or your travel agent, then it is probably not for you. However, if you are willing to do a little work and are comfortable with the risks involved, then it is a great way to get one of the best deals on Deluxe accommodations. We booked through David’s for our upcoming trip in october and i’ve gotta say i’ll never book any other way in the future. We wanted to stay at the beach club villas so we could walk over to food and wine (plus stormalong bay of course). I did pay $5 extra per point going through them vs going through an owner directly but even with that it was $40 less for our group of 4 to stay in a studio room there vs a standard room at riverside. They did all the hard work plus it was quick and easy. The only downside was we had to pay for the entire reservation at the time of booking instead of doing a one night deposit and paying off the remainder when we got there. Thanks for adding your story about renting with David’s! Although I am very familiar with the points brokers and how they operate I have only rented direct from owners, so it is good to hear about experiences with renting through brokers. I second what Kat said. We used David’s to rent a studio villa at Wilderness Lodge. A big vacation isn’t easy for us. But we wanted to do Disney “right” one more time before our boys got much older. We paid about 1400 up front for a week (don’t remember the exact amount.) What I did to avoid the interest on my credit card was to borrow money from Grandpa (who is a Disney Nut and therefore, very supportive of our vacation dream.) 🙂 I made the reservation as early as it was possible to do so. By the time our vacation rolled around, I had completely paid my Dad back — and with the help of some scrupulous saving and ruthless cleaning out / having a big garage sale — I had money all ready for eating out. For us, using David’s to get a villa was wonderful — in a way, the “con” of having to pay up front turned out to be a “pro” since everything was all paid for at the time of the vacation. It made it easy to relax and enjoy the vacation. I also liked knowing that a middleman was handling everything. I’m not a risk taker and didn’t feel comfortable dealing with an individual. It was too much money to put on the line. Everyone at David’s was very helpful and also enthusiastic. They are all big time Disney Lovers and seem to understand the excitement involved in booking your stay. We loved the resort and really loved our room! Having the kitchenette was fabulous. It was why we went with a villa in the first place. We cooked breakfast and lunch most every day in our room. Sometimes even dinner. Since we drove, we were able to bring tons of groceries from home — even ziploc baggies of pre-cooked, whole wheat pasta for the picky kids! Using David’s and choosing a villa over a regular room was a great decision for our family. Thanks for adding your story about renting with David’s! I never really looked at the up-front payment as being a bonus when it comes time to actually take the vacation, but it does make sense. On a recent vacation one of our resorts was pre-paid and the other was not, and it was a nice feeling to not have to worry about the bill for the one! We have rented DVC points from the DVC Rental Store on numerous occasions and could not be more pleased. On average we save around 50-55%. I like them because you do not have to make a deposit to have them check availability and because they allow you to make a deposit once the reservation is in place. You then make the remainder of your payment 45 days out. David and DVC-Rental require full payment at the start. Thanks for your comments about The DVC Rental Store! Of the “Big Three”, The DVC Rental Store is unique in not requiring a nominal refundable booking deposit with your reservation request. They are also the only one that does not require full payment upon completion of the reservation – currently they want $8 per point upon completion, and the remainder (currently $6 per point) 45 days before your stay. I’ve used DVC-Rental and Scott’s been fantastic to work with. He’s quick at returning email’s/calls and got us the resort we wanted with updates every step of the process. I rely on TP as well as other sites for recommendation, so i would trust they all are great choices. Thanks for your comments about DVC Rental! I have heard nothing but good things about Scott, and he is currently the cheapest of the brokers at $13 per point. Good point about being the cheapest, that’s a big plus. I agree we rent from Scott. Great great guy! We met him at a meet up he had in 2011 while on vacation and he bought everyone dole whips. My husband became friends via Internet and we rented first time in 2012 and are hooked since then! He is super patient and understanding! I can’t brag enough about him!! 2 – Most owners will not refund your money if you cancel, but most will be willing to reschedule your dates and use the points you’ve already paid for. This is the biggest disadvantage to renting from a broker – your dates are fixed with no options. Remember when working on a rental agreement that the best ones are those that fairly protect the interests of both renter *and* owner. I have a written agreement that I have used for several years, and with a bit of customization each time, owners seem to be quite happy with it. Excellent points, Nicholas! I also firmly believe in a fair, standard rental agreement, and I have used the one that is posted in the DVC Program Information – Renting Points area at MouseOwners.com. I can’t say enough about Scott and DVC-Rental. His rates are the cheapest and his service is fantastic. I have rented points with Scott several times over the last 5 years and I have never been disappointed. To me, service is everything. Scott is responsive, honest, fair and truly cares that you have a wonderful Disney Resort experience. I recommend him to anyone who will listen and I intend to continue to rent from Scott for many years to come. I recently rented a studio at the Wilderness Lodge from Scott at DVC-Rental for our upcoming trip in January. He has been wonderful to work with and answers all my emails and questions very quickly. Also he was able to get me my hotel of choice immediately for about 55% off rack rate. We will definitely use DVC-Rental for all our family vacations to Disney. We have used Scott at DVC-Rental and couldn’t be more pleased! Super easy to deal with and saved us loads of money. Any questions I had, Scott got back to me very quickly. In fact, I sent in my request at 9:00 in the morning, and by that afternoon I had a signed contract. I can’t wait to use him again on our next trip in 2014. Another thing that I love about using Scott is that he is in the United States, so there are no across the border fees on credit cards. I also like the idea of my money staying in the States. Good point about the border fees for credit card charges – check with your credit card company before doing any charges that may be booked overseas. I believe David’s is in Canada, which some cards treat as overseas and others treat as the 51st state. As for keeping you money in the US, remember that the bulk of the rental fee goes to the owner, and you have no idea where they are located. I have rented points through DVC-Rental. Scott was very easy to work with and answered all my questions. I needed quite a few points to cover my reservation, 376 to be exact. Scott not only got us the reservation quickly, but in the location we wanted. Deluxe accommodations for Value prices is the way to see “The World”. I will not do it any other way. Give Scott at DVC-Rental a call, you will not be disappointed. A lot of love for Scott at DVC-Rental in the comments here – thanks to all who posted about their experiences with him. Just to be fair, I can’t say that I have heard anything bad about any of the “Big Three” points brokers. Just a tip for those who find the “no refund with cancellation” aspect of DVC rental scary — you can always buy travel insurance to cover your investment in the event someone gets sick, etc. and you have to cancel at the last minute. The cost for insurance for our upcoming $3,500 DVC rental (6 nights in a 2-bedroom villa at Wilderness Lodge) was about $200. It was money well spent to buy our peace of mind. Yes — we did travel insurance also… talked to someone at AAA, I think. It was a good deal! Especially when you consider the risk of losing such a large chunk of vacation money. The $200 (or close to it) was well worth it for the peace of mind. We have used Scott’s services 4 or 5 times. I have lost track really, everything is always so easy. We are going to Disney in October and booking our rooms went flawless. I won’t say what we paid, but I couldn’t have stayed at a value resort for a week for the same price. Super nice guy, gets the job done, and still manages to beat his competitors prices. I will use Scott until hell freezes over. I have booked with Scott at DVC-Rentals twice now and they couldn’t have done enough for me! He happily answered all my questions and and the booking process was quick, easy and I saved heaps on my stay! I would recommend Scott to everyone looking to stay at Disney in a deluxe accommodation for the price of a value!! I’ve read many posts on renting DVCs but very few on trading into one using RCI or a similar timeshare swapping service. Do you have any pointers for how to do this? We have submitted a request via RCI for a DVC resort in late April and are hoping for availability (we certainly have the points available to book it) but I wonder if RCI users are the lowest priority renters for DVCs. Any advice on how to work the RCI point swap system to our advantage? Sorry, I am not familiar with exchanges through RCI/II or other timeshare programs, so I cannot offer you any help here. What I do know is that it is not a good idea to rent a DVC reservation that has been made through RCI/II – in fact, because of issues with these reservations MouseOwners.com has banned any trading of them in their Rent/Trade/Transfer Board. Another vote here for Paul and the DVC Rental Store. We had to change our plans several times because of work and school issues. Paul and his staff were very patient and always willing to help. I have never dealt with a company of any kind that had such great customer service. I too love the fact that we were able to check availability at no cost and pay in increments. In fact, we paid $50 a week and they were happy to accommodate as long as the balance was paid 45 days before arrival. We LOVE the DVC Rental Store! We rented points for our October trip at the Beach Club from an owner on mouseowners.com. They had already pre-booked the reservation (presumably near the 11 month mark since BC in Oct. is REALLY popular), but were unable to use it. I bought it from them only 3 months prior to their trip. Although we are paying $14/ point, definitely more than average for booking directly through an owner, it’s still saving us $800 for 5 nights when compared to the 30% off discount rate at the Beach Club my same dates. When renting a pre booked DVC stay, does the reservation stay in the owners name or can it be changed to your name? There has been some debate in the TouringPlans WDW Chat area as to whether the amended reservation is actually in your name or you are listed as an additional guest. However, either way you can link the reservation to your MDE account for MB, FPP, and on-line check-in. Note that even if it is actually in your name, it is still the owner’s reservation and they have total control over it through DVC Member Services. Thanks for sharing your experience renting direct! As you point out, even an above-average point rental rate still equates to a significant discount over prices through WDW Reservations. As an FYI, all reservations are made in the name of the renting guest. The reservation will include all the information (address, phone number, etc.) about the lead guest and the names of all other guests occupying the room. The name of the DVC owner making the booking will not be on the reservation. However, only the DVC Member may make and changes or additions to the reservation itself, including adding the Dining Plan. Some of our guests, lately, have had success in arranging their own Magical Express, but at this time, it is hit and miss. Thanks for the feedback! I had not heard of any renters being able to arrange Magical Express without going through the owner. Perhaps this is something that is being phased in with all the changes to My Disney Experience. I rented directly from an owner last May. It was easy. I liked that I could talk to them over the phone and give them the information instead of just filling out some arbitrary form with a list of ordered preferences. It was a last minute reservation, and so availability was spotty, but I was able to get the room and view I wanted! Also, I was able to get the confirmation number over the phone and enter it into my Disney account, so I could verify that I had a reservation and all the information about us was correct. It made me feel like I had a lot more control over my reservation without having to bother the owner. I was able to make room requests, etc. during online check-in and had no problems. I even changed our arrival time the day before without a hitch. All I can say is that we wouldn’t have stayed at a deluxe resort if it wasn’t for DVC renting. Thanks for your comments about your direct renting experience! I agree, having direct contact with the owner is very useful for those of us who like more input/control during the whole process. However, note that once you have your reservation number linked to your My Disney Experience account there is no difference between what you are able to do without bothering the owner regardless of whether you have rented directly from the owner or through a points broker. Thanks for these tips. I want to be a member of Disney Vacation Club for me to get discounts and affordable trip updates and offers. Sounds complicated but I think someone from the company will explain everything about this? Awesome experience with David’s recently. Super fast super friendly response times by phone and email. Very professional, good contract. Heard a single horror story from a friend who rented directly from owner only to have the DVC member cancel her trip on her 6 weeks out so decided we’d only ever use a broker. Happy for the piece of mind, but reading comments here, I’ll have to get my cancellation insurance ASAP!